As a busy working mom I don't really have a ton of time to go browse around in a record store or in iTunes for new and exciting music. I mean, I'm all for the latest Sesame Street CD, but Elmo's duos with Ernie do get a little old some days. So our usual non-kid centric CDs tend to get played over and over again until one of us flips out and turns on the radio or TV just to get a change of pace. Every so often I do get my hands on a new CD, and you should see the excitement around here when I pop it into the machine. There's usually much dancing and rejoicing, some of it is even the kids! This latest CD wasn't so much the kind you dance to, but it's definitely staying in the rotation anyway. As soon as the new Corneille CD, The Birth of Cornelius arrived I ripped into the packaging and popped it into the player before even reading about his back story. Then I sat down, started the CD again and really listened. Brothers I wish you were here so I can have somebody I can call "my brother"
he's speaking to his entire family, massacred in the 1994 Rwandan genocide. Once you understand the hardships that this singer has overcome it's impossible not to be moved by the beauty of his lyrics and songs. There's not an ounce of bitterness, it's all poetry and love. I have one autographed CD to give away to one lucky winner! 1) Visit the Amazon page for The Birth of Cornelius (click on the link to get to it) and scroll down to the "Listen to Samples" section. Listen to the samples and let us know which is your favorite track. 2) Leave a comment letting me know about your latest favorite album. 2) Subscribe to this blog's feed. Leave a comment telling me you subscribed. 3) Subscribe to my other blog's feed. Leave a comment telling me you subscribed. 4) Tweet, email, blog about this giveaway. Please remember to leave me a way to contact you. And please, please, please, leave a separate comment for each of your entries. I can't credit you for each of them if you don't. Giveaway ends Wednesday, April 8 at 10pm PST. This giveaway is officially closed! Thank you for stopping by. Make sure to check out all my other great giveaways! When I was pregnant I was always thirsty. Always. I guzzled water all day long and I constantly lamented my lack of drink options. See, I couldn't drink too much caffeine, I was avoiding both diet and regular soda, and I just don't drink juice. I'd rather eat my fruit than drink it. In case you hadn't noticed, that doesn't leave a ton of options. If I'd known about Glow Mama back then I would have been stoked! Light and fruity without being too sweet like juice and specially formulated for pregnant women or nursing moms - it would have been the perfect drink for me! - Fortified with fiber, vitamin C, vitamin B3, B6, B12, folic acid, calcium, and iron - all the great nutrients that moms and moms to be need. - Relatively low calorie. It's not water, but at 70 calories per bottle, it's not a bad substitute. - Affordable, plus the site offers great sampler packages. - Small 12oz bottles. If I had drunk these when I was pregnant I would have gone through a case a day! - Very light in taste, which appealed to me, but if you like bolder tasting drinks this might seem very watered down to you. All in all, Glow Mama is a great drink option for mamas or mamas to be. Stock up for yourself or your next baby shower! Muddle mint leaves, sugar and lime juice in the bottom of a hi-ball glass. Drop in the Glow Mama ice cubes. 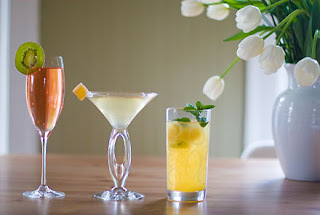 Pour in the Glow Mama and soda water and garnish with mint leaves. 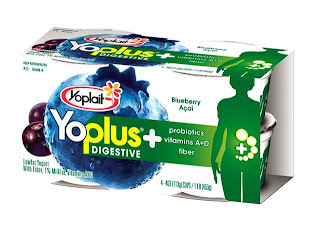 Yoplait has come out with a new flavor for their Yoplus+ digestive yogurt line - Blueberry Acai. In honor of this event, and so you can taste the yogurt for yourself I'm giving away not one, not two, but THREE awesome Yoplus+ gift packs. I'm not doing an actual review of the product, because, ah, I wasn't a huge fan of the actual yogurt. But in Yoplus' defense, I'm a really tough sell when it comes to yogurt. It's the pitfall of growing up in a country where all yogurt is unbelievably creamy. Luckily we all have different tastes, and I've heard of many people who love, love, love the Yoplus+ yogurts, so I want to give you a chance to try it for yourself. To make this even more fun, I'm not just giving away yogurt. I'm giving away an awesome cooler bag (as in bag that cools, not bag that is cool. Though it is.) that will accompany you to every picnic and pool party you attend this summer, a nice big BP Free water bottle, and a handy little notebook. 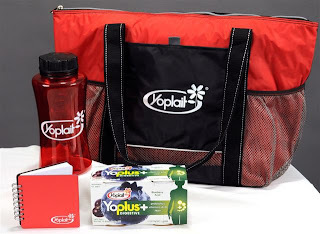 1) Leave a comment letting me know about your absolute favorite Yoplait product. Giveaway ends Wednesday, April 1 at 10pm PST. (No joke.) 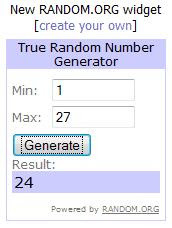 This giveaway is officially closed! Thank you for stopping by. Make sure to check out all my other great giveaways! I've mentioned it before, my children are both avid readers. We have books everywhere and we're always looking for new ones to join our standbys on the shelves. Since neither girl can read yet, they're at our mercy when it comes to enjoying a favorite read. At least they were until we got a LeapFrog Tag reading system! We still cuddle in the evening to read our usual stack of books, but during the day the girls can "read" to themselves with their amazing Tag Reader. I'm not going to do a full review of the Tag because I want to get to the exciting part of this post, not that the Tag isn't exciting, it is, really really exciting, but so is National Reading Month, and LeapFrog's 1 Million Reading Hours Pledge. But I do want to say that the Tag is hands down the coolest thing we've ever seen. It's shaped like a chunky pen and it reads to you. No joke. You touch the tip of the reader to any page of any Tag book and it will tell you what you're pointing at. It will read words, it will describe pictures, it will give the characters voices. It's like a 3D reading experience. Walter the Farting Dog and The Little Engine That Could have never been so alive before. As if that weren't enough each Tag book has games embedded in the pages, brilliant games disguised as pure fun that test reader comprehension and attention to detail. In honor of National Reading Month, kicked off by the National Education Association's Read Across America event, LeapFrog is holding a huge event to help get everyone reading more. You can participate in the 1 Million Reading Hours Pledge and help LeapFrog reach their goal - children reading with their parents for 1 million hours during the month of March. 1) Make a 1 Million Reading Hours Pledge and come back here to tell us how many hours you pledged to read with your child. 2) Check out the LeapFrog Tag books and come back and let me know which two books you have an eye on. 3) Tell us about your favorite book as a child, or about learning to read. 4) Tell us about a special reading moment you've shared with your child. 5) Subscribe to this blog's feed. Leave a comment telling me you subscribed. 6) Subscribe to my other blog's feed. Leave a comment telling me you subscribed. 7) Twitter, blog, or email 3 friends about this giveaway and come back to tell me what you did. 8) Come back at the end of the month and let us know if you met your reading pledge. This giveaway will be open until March 31st at 10pm. Good luck and happy reading! This giveaway is officially closed! Thank you for stopping by, make sure to check out all my other great giveaways. look at two of their brand new products. March is a big month for our horsey friends! First the interactive game company has just managed to make their game even more tangible, collectible, and irresistible, by coming out with a line of Miniature Collectibles. These teeny tiny velvety soft figurines are sold in individual packets ($1.99 - 5yo+) and come with a code that unlocks fun items and extra horseshoes on the Bella Sara site. - The figurines are irresistible to kids. My own two have been fighting to play with them ever since I opened the packets. - The designs are neat and quite detailed. - It's fun to have a tangible version of the figurines you see on the site. - These really are just collectibles, not toys. 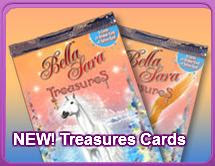 Bella Sara Treasures are the eighth series of Bella Sara cards. Instead of each card portraying a different pony or horse, instead the Treasures card unlock, well, treasures! To make the packet ($2.99) even more fun it comes with a sheet of tattoos and a sheet of stickers. - These packs expand the fun on the site by giving you access to printable activities and fun new objects that you can enjoy on the Bella Sara site. - From now through April 30th Bella Sara is giving fans a chance to win an exciting Treasure Hunt party of their own! Click through for details. - Kids who were hoping to add to their herd will be disappointed to see that this series doesn't allow them to do that. So two new fun additions to the Bella Sara line . Remember, click here to see my original review of the Bella Sara site. 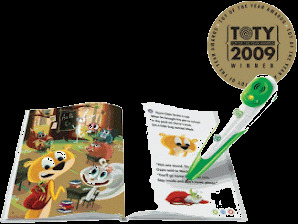 Amazing Baby Books - Winner! ... is Leah! (aka @leahita on Twitter.) WHOOT! Congratulations! Leah thank you for entering the giveaway, and for being so incredibly enthusiastic about it! Thank you all for entering this giveaway! More exciting opportunities coming up so stay tuned for more!